It’s one of my favorite weeks of the year because it’s #Choctoberfest. I’m starting with this classic coffee punch recipe and it’s all about the chocolate from now until the end of the week! Over 100 bloggers from all over the world are posting chocolate recipes from now until the 20th. Each day #Choctoberfest bloggers will be bringing you a world of chocolate – milk, dark, white, bittersweet, semi-sweet, and cocoa! 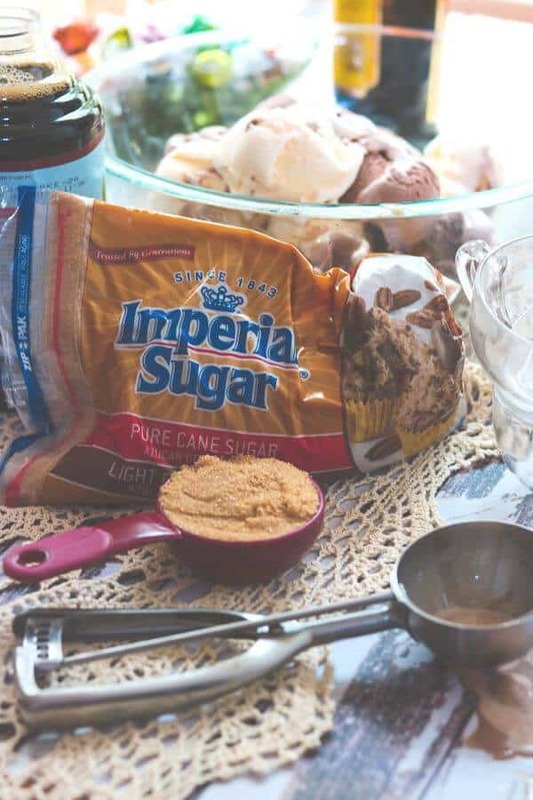 Today’s post here on Restless Chipotle is sponsored by our Gold Sponsor, Imperial Sugar, who provided the sugar for all my recipes this week! This is their 175th anniversary year – and it’s the brand I use exclusively! You’ll find some great Halloween Treat Ideas as well as other recipe inspiration on their website! So this post is so full of information I am going to keep this short. 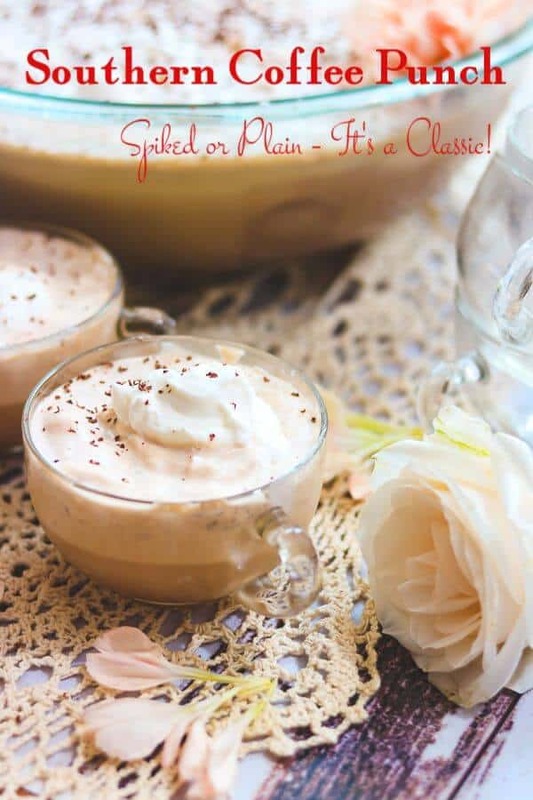 Just about every southern woman has a coffee punch recipe that’s been handed down from her mama and her mama’s mama and even her… well, you get the idea. Go to almost any bridal shower, baby shower, or party in the South and next to the sausage cheese balls and butter mints you’re sure to find a punch bowl filled to the brim with a frothy, creamy, chocolatey punch – it might even be spiked. My recipe calls for a light brown sugar – it gives it just a little extra flavor and richness. I always use Imperial Sugar – always have and more than likely always will. The light brown sugar gives this punch a little extra flavor and richness. Once you taste this classic coffee punch you’ll be perfectly happy to let everyone else have their pumpkin spice lattes, thank-you-very-much. Trust me. Oh, and yes, it has a million and seven calories. It’s totally worth every single one. If you love this recipe give it 5 stars! Thanks! 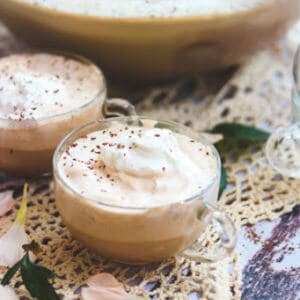 Every Southern cook has a coffee punch recipe that’s been handed down through the generations. It”ll show up at every shower, every party, and every special event because it’s absolutely delicious! Creamy, chocolatey, and sweet you’ve got to taste it to believe it. Heat 1 cup of the cold brew concentrate up with the brown sugar, stirring until the sugar dissolves. Set aside to cool. Place scoops of the softened chocolate and vanilla ice cream in a large punch bowl. Pour the brown sugar coffee mixture and the cold brew concentrate over the top. Gently stir until the ice cream melts and the punch is blended. Top with the lightly sweetened whipped cream. Grate some chocolate over the top for garnish. Try caramel or coffee ice cream in place of the vanilla or chocolate. Here are links to the other blogs who’ve published chocolate recipes today. Check them out! I am in love with the insta pot. I keep telling everyone I want one. All these recipes are making my mouth water!! thanks for the chance to win some amazing prizes. Classic and Southern. My two favourite words put together! I have never had a coffee punch but this sounds really good! That coffee punch looks amazing, I really want to try it! Coffee Punch, sausage balls and butter mints – yep that about sums it up. The punch sounds divine – haven’t had it in years! It’s still as good as you remember!